On Sunday the 16th November 2014 we're extremely happy to be putting on an extended MIE celebration with some of our favourite artists and friends. 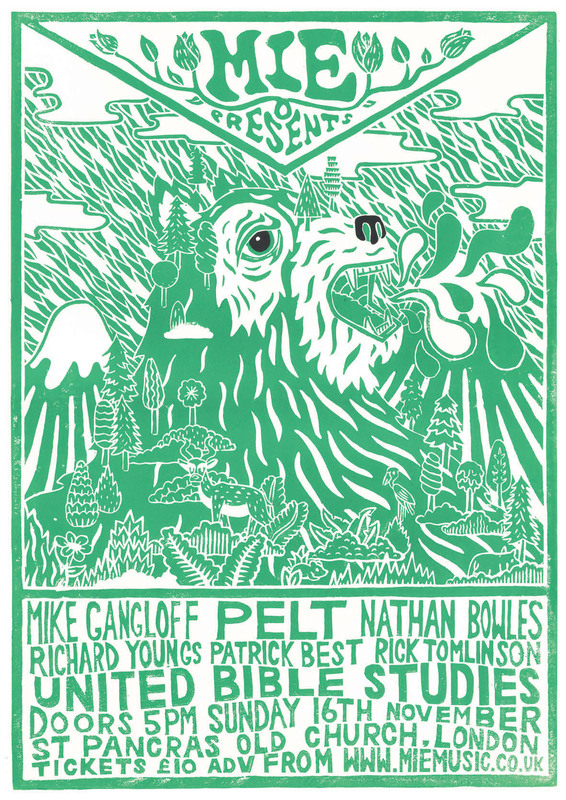 The line-up is Pelt, Richard Youngs, Rick Tomlinson (Voice of the Seven Woods), United Bible Studies, Áine O'Dwyer and Nathan Bowles, Mike Gangloff and Patrick Best (all from Pelt) playing solo sets in some form. Doors will be at 5pm. The church will provide a bar and there are lot of places to eat nearby. Curfew by 11pm. More info and timings will be coming in the next few weeks. Tickets are available for £10 in advance and £12 on the door. If bought through LimitedRun they will have a very small booking fee and a Wegottickets link will be available soon.